The recent past of the Resident Evil series is getting gussied up for modern consoles. Capcom is resurrecting two Resident Evil games from the previous console generation. The latest issue of Famitsu reveals that Capcom is working on something called Biohazard: Revival Selection - Biohazard being the name for the Resident Evil series in Japan - which contains Resident Evil 4 and the Dreamcast version of Resident Evil: Code Veronica. Code Veronica came out in 2000, and was the first Resident Evil game not to debut on a Sony console. It tells the story of the Chris and Claire Redfield, who become embroiled in a scheme by the founders of the villainous Umbrella Corporation. 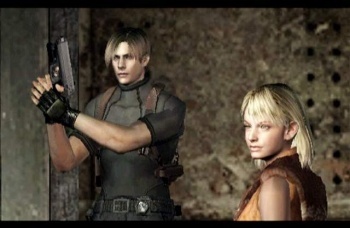 Resident Evil 4 came out five years later and featured Resident Evil 2 star Leon S Kennedy on a mission to rescue the President's daughter, Ashley, from a mysterious European cult. It was a significant departure from the previous games in the series, both in terms of gameplay and story, and formed the template that later Resident Evil games would follow. Details on the collection itself are a little scarce, however. Capcom is bringing the collection to the PS3 and Xbox 360, and is giving the two games a visual upgrade to get them to high-definition resolutions. The collection will also include Resident Evil 4's "Separate Ways" side story - awkwardly titled "The Another Order" in Japan - which features Ada Wong and her connection to perennial series villain, Albert Wesker. Unfortunately that's all the information we have at the moment; the release date and price are still to be determined, and there's no indication as to how far along the project is, or if it will ever make its way to the West.